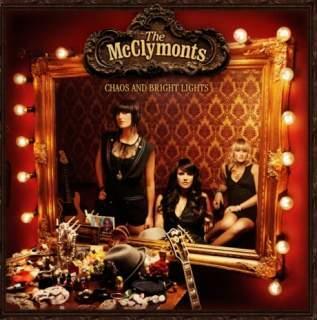 Tweet Country music artists and sisters, The McClymonts,’ debut album, “Chaos and Bright Lights” hit stores everywhere today, August 17th. Sam, one of the sisters of this up and coming group, recently stopped by to talk music, touring and what it’s like working with family. Q - How old were you when you picked up your instrument? A - I got my first bass guitar when I was 12 and played for a year or two then four years ago when we were signed to Universal Music I picked it back up again as we couldn’t afford our own band and haven’t put it down since. Q - Who inspired you to pick up your instrument? A - I was at a country music festival and there was a girl bass player on stage and I thought she looked very cool so I wanted to be her. Q - How old were you girls when you decided to become a group? A - We knew from a very young age we wanted to sing as the group; it just came down to timing and four years ago we decided that’s when we were ready to put absolutely everything into our music. Q - How hard is it to be in a group with your sisters? Is there any struggle to make sure everyone's interests are met? A – It’s not normal to spend 24 hours with your sisters but we do and while sometimes it’s a challenge it’s usually just a whole lot of fun. Q - What was it like coming to Nashville for the first time to write and record your first studio album, "Chaos and Bright Lights?" A - We were just in awe of the musicians and songwriters and everyone we got to work with on this record. Nashville is inspiring and makes you more determined to work harder. Q - You guys collaborated with outside writers. What was that process like? Had you worked with outside writers before or were you used to being the sole songwriters. A - Brooke travelled the world as a songwriter so it was nothing new to her but for Mollie and I it was a new experience. We loved bouncing back ideas with other people and hearing different stories and views. Q - Your first studio album is set to release in the USA on Aug 17, 2010. How would you describe the album? A - The album is a reflection of who we are. Three young women having a lot of fun in their life right now. It’s country music topped with a pair of stilettos. Q - What is your favorite song on the album? A - I love ‘My Life Again’ as it’s a powerful anthem for anyone wanting to take back control of their life. Q - Are there any plans to tour the USA with the release of "Chaos and Bright Lights?" A - We have already started touring and opening shows for Jason Aldean. We have been lucky with so many amazing opportunities to play around the states. We even played at the Buffalo Chip in Sturgis opening up for Ozzy Osbourne. A - We love to have fun and when people leave our show we hope they feel they got to know who we are a bit more and felt like they have been hanging out with good friends. We always sign after our shows and meet everyone who comes to watch. Q - Thanks so much for taking the time to answer my questions. Is there anything else you'd like to add? A - Thanks for having me stop by! Hope to see people out on the road in the coming months. For more information on The McClymonts, visit them on the web at: TheMcClymonts.net.